England, as the mighty William and many others have observed, is an island. Therefore, if we are serious, if we are seeking to offer the thing itself, we in turn must go in search of a precious whatsit set in a silver doodah. Imagine an England where all the pubs are quaint, where the Windsors behave themselves (mostly), where the cliffs of Dover are actually white, and where Robin Hood and his merry men really are merry. This is precisely what visionary tycoon, Sir Jack Pitman, seeks to accomplish on the Isle of Wight, a "destination" where tourists can find replicas of Big Ben (half size), Princess Di's grave, and even Harrod's (conveniently located inside the tower of London). Martha Cochrane, hired as one of Sir Jack's resident "no-people," ably assists him in realizing his dream. 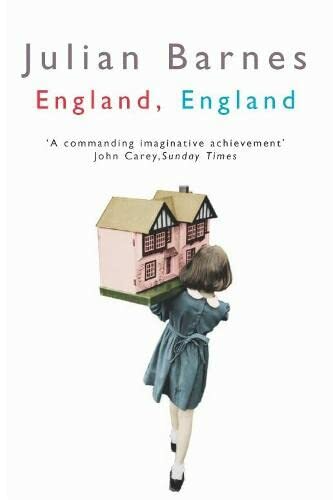 But when this land of make-believe gradually gets horribly and hilariously out of hand, Martha develops her own vision of the perfect England. Julian Barnes delights us with a novel that is at once a philosophical inquiry, a burst of mischief, and a moving elegy about authenticity and nationality.